GAUCHOS FOR THE WILD WEST. 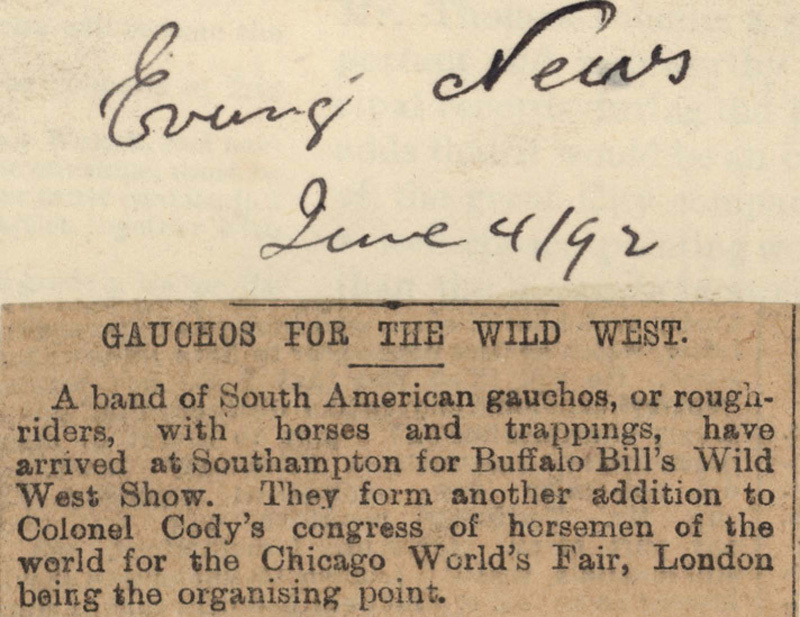 A band of South American gauchos, or rough-riders, with horses and trappings, have arrived at Southampton for Buffalo Bill's Wild West Show. 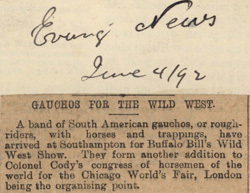 They form another addition to Colonel Cody's congress of horsemen of the world for the Chicago World's Fair, London being the organising point.